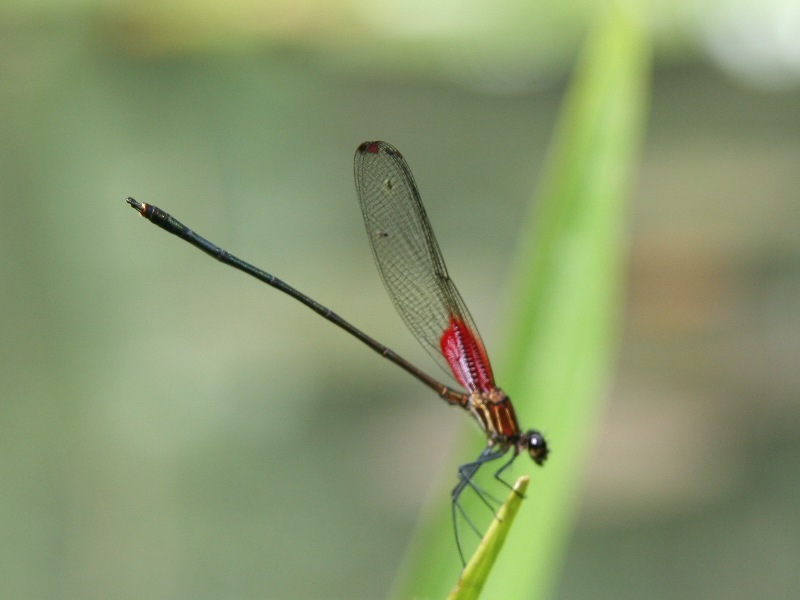 There are about 34'000 insect species in Costa Rica, so we will have to restrain ourselves to a few examples... But you'll love the ant highways through the jungle and the many butterflies like the blue morpho. 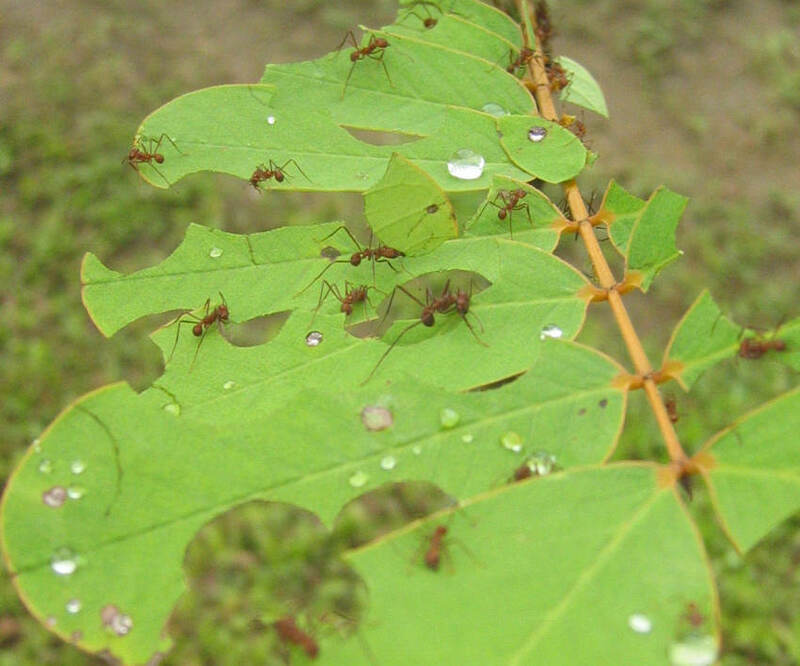 The most noticeable ant specie is the leafcutter ant. 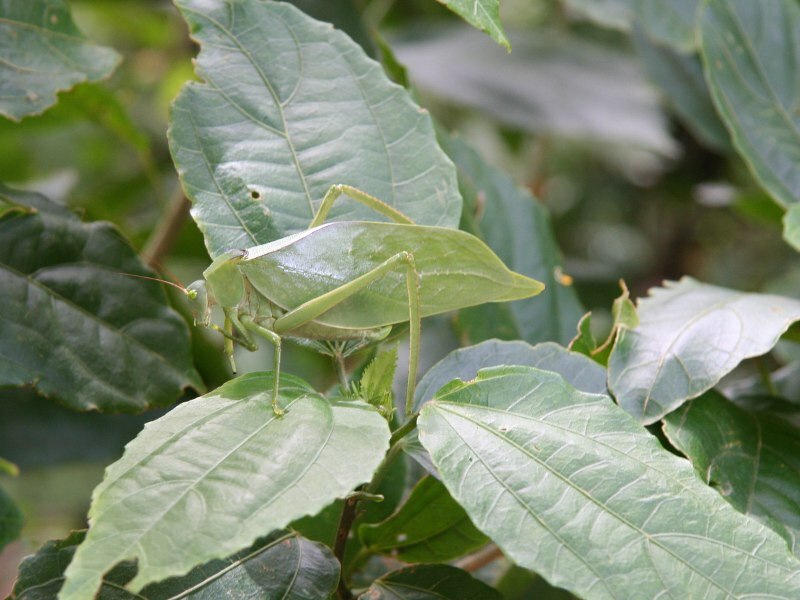 They can be found on the forest ground in large highways, carrying pieces of leaves on their back. They do not eat the leaves directly but bring it to their nests where workers chew them up and place a special fungus on the leaves. This fungus then spreads and provides food for the colony. Termite’s nests can be seen often in primary and secondary forests. Their brown nests are attached to trees and fence posts and house up to 100’000 termites. They are made of a mixture of half-digested wood pulp and faeces. 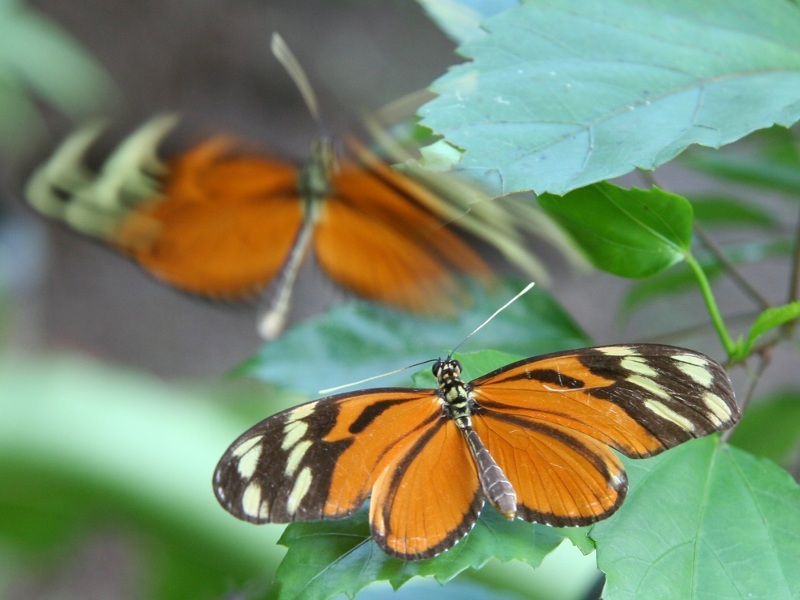 Costa Rica is home to at least 1239 species of butterflies. You can spot butterflies all over Costa Rica. But particularly nice is the area around Poas Volcano, where you find a lovely butterfly garden at the Cataratas La Paz. 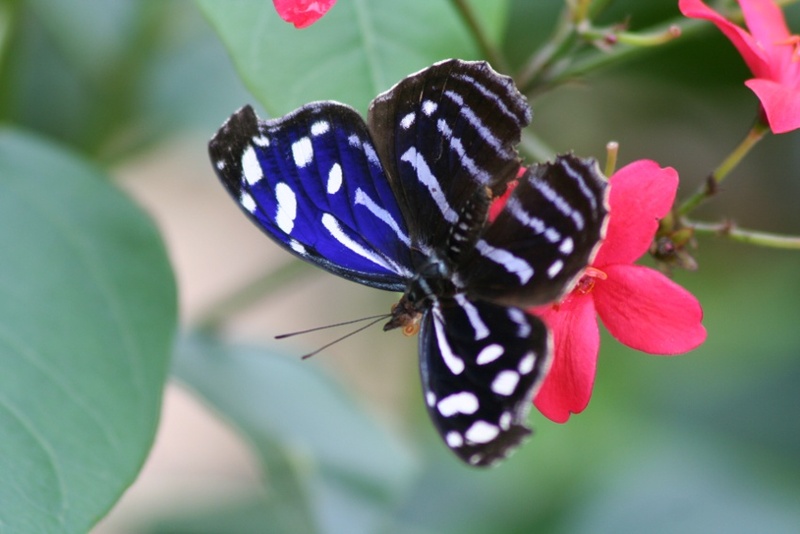 Monteverde is also a good place to see butterflies; there is an old butterfly house there that offers professionally guided tours where you can learn a lot about those colored animals. (Contact us for information about butterfly tours and more). 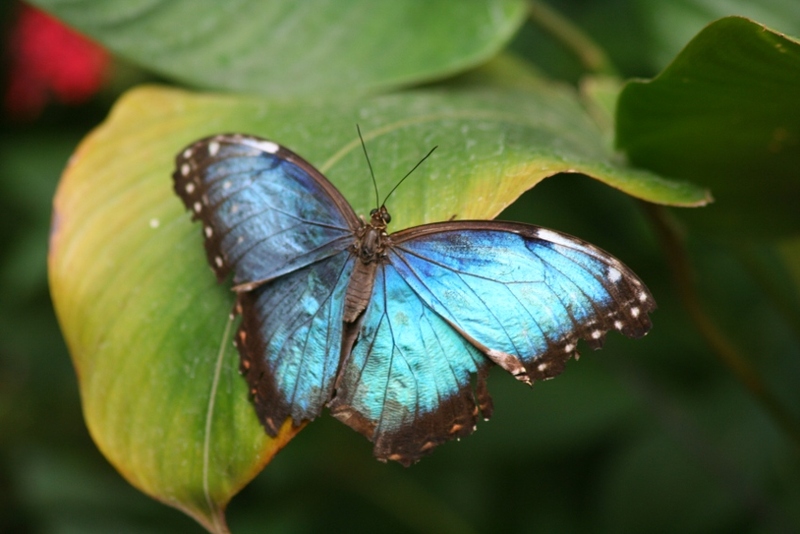 The most famous butterfly of Costa Rica is the Blue Morpho, which is known for his wings of a splendid blue color. 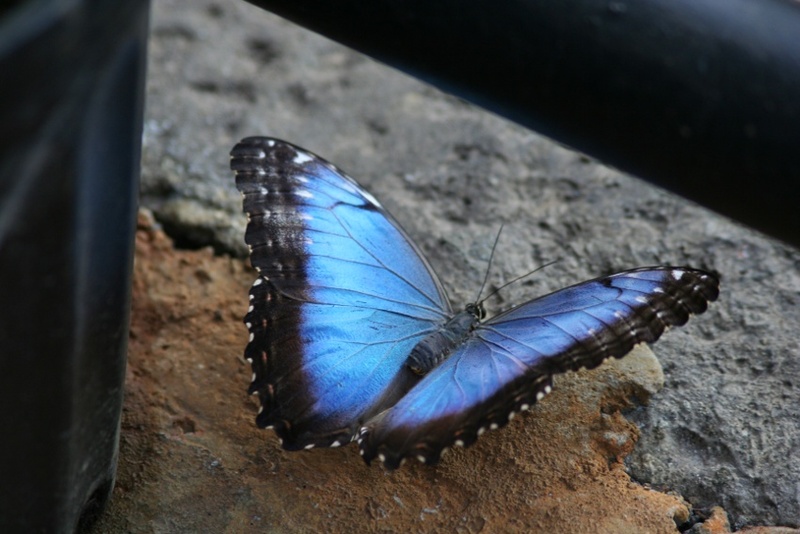 The morpho can be found all over the country. 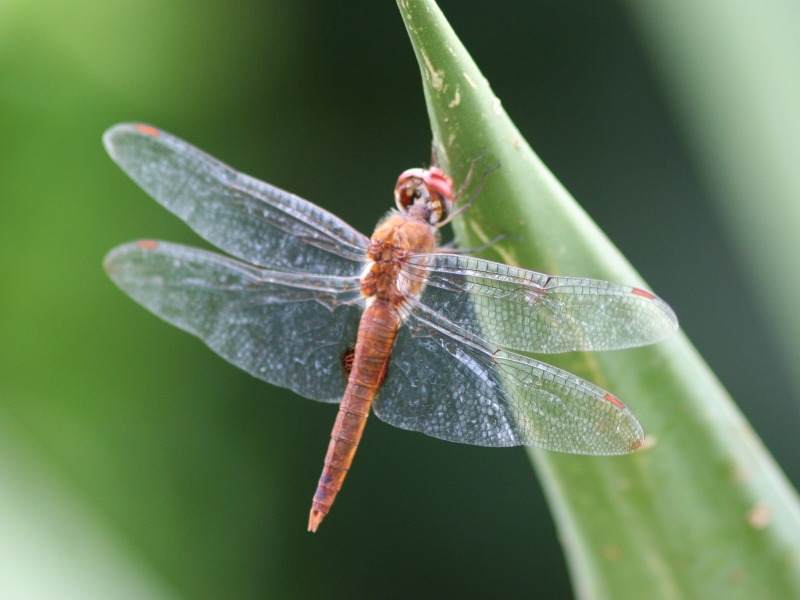 With its proboscis, it feeds mostly on fluids of fermenting fruit, fungi and tree sap. Morphos can reach wing spans up to an impressing 15 cm, but the average size is around 5-8 cm. Mosquitoes are more of a plague than the actual animal people are visiting the country for. Unfortunately, there is not much you can do about them except putting on repellent. Places on higher altitudes (like the country's Central Valley) are less affected by mosquitoes than beaches and coastal areas. A leaf or an insect?